If you are stumped as to what to get for Father’s Day this year, you might consider picking up a copy of The Book of Dads, a collection of moving, funny, and quirky essays on the “Joys, Perils, and Humiliations of Fatherhood.” My essay, “Comparative History,” sits alongside greats like Nick Flynn, Rick Bass, Steve Almond, Jim Shepard, Anthony Doerr, Ben Fountain, Sven Birkerts, and others. The book is available at a bookstore near you. 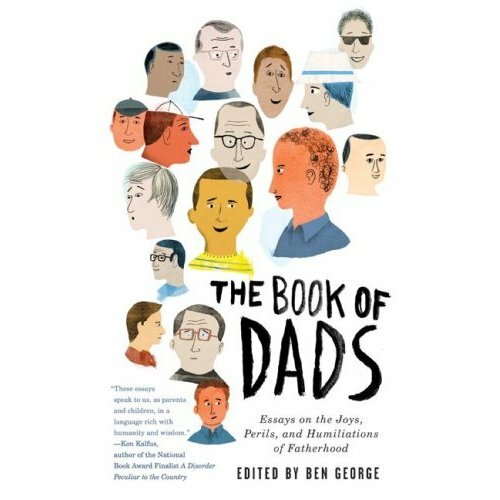 In the meantime, check out this Book of Dads interview with editor Ben George, Jim Shepard, and Darin Strauss on the Leonard Lopate Show on WNYC. It’s a great interview and my essay even gets a shout-out around minute 27. ← The New COLUMBIA is out.